Outsourcing is the process of hiring international or domestic online workers to handle certain aspects of the operations of your business. Outsourcing continues to be an alternative to hiring people to work full time in your office as it offers greater hourly rates for the more mundane or associated with your company. However, outsourcing can also be used for extremely specialized tasks such as web development, Facebook ads, etc. Why pay someone $20.00/hour when you can pay someone $10.00/hour for the same quality of work? There are many arguments for and against the use of outsourcing. Most opinions are formed based off of that individual’s personal experience or business values. I’m not here to tell you whether you should outsource or not. Rather, I am here to provide you with enough information so that you can make an educated decision on whether it is the right move for your company. With the emergence of the Internet over the past 30 years, outsourcing has become ever more available as a resource to entrepreneurs. Platforms have popped up connecting the workers of the world with the entrepreneurs of the world. A natural marriage was created as entrepreneurs tend to begin businesses on smaller budgets. In the following pages, you’ll learn the top 10 reasons why entrepreneurs fail to effectively utilize outsourcing and how you can avoid them. 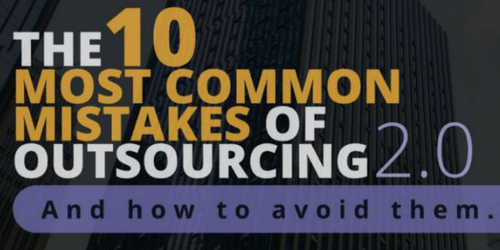 We’ve went through all of these mistakes over the past 7 years and all of them have taught us a tremendous amount about outsourcing. We’re here today because of the failures that we’ve made and we want to share with you the knowledge that we have attained. As with anything, you must fail on your way to perfection. When growing up and playing a sport, how many times did you strike out, lose a game, miss a shot, or score an own goal before you reached peak performance? It probably took you hundreds if not thousands of mistakes. Business and outsourcing is no different. To curb the amount of failures that you have to go through as an entrepreneur, we’ve put together a list of the 10 most common mistakes that entrepreneurs and business owners make when outsourcing. It is our hope that these words of wisdom will guide you towards a future where you are able to effectively utilize outsourcing to cut costs, create more time, and increase productivity within your company. The initial attraction of outsourcing is tempting. Why not start outsourcing today? Through our outsourcing experience, we’ve found that bad experiences with outsourcing tend to stem from this type of unorganized approach. Over the years, we’ve developed a strategy for discovering how you can initially start outsourcing that makes all the difference in the short and long run. This is a strategy that we walk our FreeeUp clients through when first learning about their business and operations. Follow these steps and see increased success with your outsourcing efforts. Step 1: Sit down in a quiet environment where you can focus. Write down every task that you are responsible for within your business. Step 2: Reorder the list from easiest to most difficult. Step 3: Go through each task and identify the skill set that is needed to complete each one. Step 4: Create a list of the skill sets that you need in order to get these tasks off of your plate. Step 5: Decide how you want to outsource…a hands-on marketplace like FreeeUp or an online outsourcing platform like Upwork.com. You are now well equipped to avoid mistake #1 that leads so many entrepreneurs down the wrong outsourcing road. Only nine more to go! Wow, there are so many people that would be a great fit for my company. I’m definitely going to give this a shot! If you’re at this point and you haven’t thought out your interview process, you’re about to commit mistake #2: not having a prepared approach to the interview process! When you don’t have a strategic interview process, the odds that you will hire a reliable and skilled online worker goes significantly down. With the number of online workers looking for new projects, your inbox can become quickly flooded with tens of applicants from people all over the world. This all happened to us when we first started outsourcing in 2012. We would set up Skype sessions with ambitious international workers with no real strategy as to how we would choose the right one. We didn’t know where they should be from, how many hours they should have already worked online, or what to believe from our initial chat with them. In order to avoid committing mistake #2, follow our set of instructions for creating a sound interview process! • How do you handle communication? Avoiding mistake #2 can put you on a path towards hiring reliable, skilled, and affordable workers that fit your business needs. I wonder what the cheapest hourly rate is that I can get for the worker that I need. Wow! What if I could get $3.00/hour? That would cut my costs by 4 times! You begin to imagine the impact that an hourly rate that low could have on your bottom line and you become fixated on getting that rate. Everyone wants to pay the lowest rate possible, but unfortunately it also tends to come with poor quality of work, lower expertise, and infrequent communication. Mistake #3 is trying to hire the cheapest online worker possible simply for the goal of the financial gain. Their English is not as good as other online workers, making it more difficult to onboard and manage them. They are not as communicative as you need when running your business. A factor many don’t consider…poor or slow internet connection. This factor can impact a worker’s ability to get your company’s work done. For lower pay rates, workers tend to attempt to work absurd amounts of hours to make enough money to support their lifestyle. Working over 12 hour days can lead to mistakes quite quickly. It’s not uncommon for lower level workers to disappear without ever resurfacing. From time to time, you will run into funky situations when trying to hire online workers at the lowest rates. One that has become more common is one worker taking the project, but outsourcing the tasks to someone else. Paying the extra $1 to $2 per hour is worth the increase in quality and reliability that you receive from the workers. Look past the hourly rate and focus on finding the best possible worker that is always going to be there for you and your business. You have now found the right online worker to hire and you are ready to get started! You’re super excited and so you jump right into onboarding and testing them in the role. This has been a great week. I feel like you really understand the process and I would like you to begin performing this task every day going forward. Of course. Thank you sir. You leave the meeting thinking that everything is dandy. You don’t have to perform that task anymore and so you move onto another area of your business that you can grow. Time starts flying by with your new focus and two weeks later you realize that you haven’t chatted with new workers since you let him go on his own. In the worst case scenario, you go to check in on his work and you realize it has been done incorrectly for the past two weeks. That would be a disaster! You lose it and immediately fire the online worker. The task ends up back on your plate. In the best case scenario, you check back in on the worker and there are only tiny mistakes that are being made. Overall, the task is being handled. You meet with the worker and correct the errors so that they don’t happen again. You hurry back to your growth projects. In either scenario, you have committed mistake #4 of outsourcing…you didn’t set clear expectations from the start. You have to remember that online workers are hired by tens to hundreds of different businesses every year. Because of the large variety, every client has different rules and expectations for workers. As an online worker, you very much depend on the instructions from the client on what they expect and how certain situations should be handled. At FreeeUp, we have 15 pages of Marketplace Worker Guidelines that outline the expectations in all situations so that there is no gray area. We’re also extremely accessible so that workers can ask questions when they are confused. Workers know that when we give them a new client, they are expected to ask what the client expects of them while working together. Not all workers have this discipline leaving the work of setting guidelines up to you. The good news is that you can set clear expectations from the get go and avoid the frustrations associated with mistake #4. How often do you want to be updated on progress? How do you prefer to be communicated with? What is your contact information? How do you want issues communicated? What defines an issue? What defines an emergency? How does the worker ask for time off? When is it appropriate to ask for a raise? Are they allowed to outsource the work to a friend in busy times? What should they do if their Internet goes down? By setting expectations before onboarding even starts, you and the worker get on the same page. This simple practice should help you to avoid nightmares like what we explained above. Checking in on a worker every week is always smart and keeps them more honest to the guidelines that you created in the beginning. It took some time, but you finally found and hired the best online worker for your business. Give yourself a pat on the back. It’s been a month since you hired them and you couldn’t be happier. They’ve already taken 5 different tasks off of your plate giving you close to 4 free hours in your day. Wow, this is amazing! I can’t believe that I didn’t do this before. What can I give them next? You sit back down and assess the tasks that you can continue to delegate to the new online stud. Your goal is to fully optimize the worker’s hours by giving them responsibility over all repetitive tasks within your business operations. The worker couldn’t be happier because they always want more hours. You’re on cloud nine. Let’s take a quick step back and look at what has just happened. You’ve taken repetitive tasks from all departments of your business and made 1 person responsible for all of them. Do you see anything wrong with this picture? Don’t get me wrong…you’ve accomplished more than most with your outsourcing efforts, but you’ve also placed your business in a risky situation. This brings us to mistake #5…failing to diversify online workers across your business operations. When you fail to do this, everything can revert back to page one within a matter of seconds. Let’s look at an unfortunate reality that could very much happen. Since you taught that one worker everything, you fall back to square one where you are again responsible for all of their tasks. This is one of the more difficult mistakes to bounce back from and it can greatly demoralize your efforts as a business owner with outsourcing. In order to avoid this scenario, we highly recommend hiring multiple workers and diversifying them across your business operations. You can receive the same quality of work for the same price while minimizing your risk if one of them is to quit. When we first started outsourcing, we identified all of the tasks within the operations of our business that had the potential to be outsourced – just as we outlined above. For each specific task, we created a posting and we hired a group of people that met all of our needs and specific skill sets. As the workers become experts in their task, we hired other workers for them to onboard and manage. Once they made it to this point, we had established trust and we considered if their skill set could be used elsewhere. When it made sense, we added them to other groups. In this scenario, a worker can quit and you aren’t scrambling to go through the whole process again for weeks on end. You are in a controlled position where you can intelligently and swiftly fix the lost worker with someone else while you recruit the next person. Proper onboarding is one of the most important aspects of scaling regardless of whether the worker is in your office or remote. A strong and organized onboarding process can bring the new worker up to speed and give them the tools to make a quick and lasting impact on the business. It’s even more important to have a fluent onboarding system for online workers because of the barrier of communication on the Internet. Again, we find you at a new stage of your outsourcing experience. You’ve just hired a worker and you are tasked with teaching them the first task that you want to outsource. For argument’s sake, let’s say that you own an eCommerce company and you want them to take over the order fulfillment process. You schedule a time and you begin a voice call with the worker. You begin to tell them about the process slowly walking them through the order fulfillment interface. You’re not positive if they fully understand the process so you set up another onboarding session where you ask them to walk you through it. The meeting goes well, but it could have been better. Frustrated, you decide to let them give it a shot. Keeping a close eye on their work, you notice that they are completely forgetting a step. Unfortunately, you have just become a victim of mistake #6…not properly onboarding the online worker. It’s nothing to be ashamed of. Before we failed multiple times, we did not know the best ways to onboard our online workers either. Now I’m here to explain how you can avoid it! Step 1: Create detailed onboarding guides with step by step processes. Step 2: Conduct all onboarding sessions via chat. By using chat, the online worker has a reference to go back to. The best online workers will save chats for future reference. You can’t do that with a voice call. Step 3: Use TeamViewer to share your screen. First, you want to show the worker the process on your screen. They will get an overview and be able to answer questions. Step 4: Use TeamViewer to view their screen. After 2 or 3 sessions on your screen, test them by having them go through the process with you watching. Provide feedback while they are going through the process so that they are perfect once you let them go on their own. Step 5: Provide them with the onboarding guide and have them update it as parts of the process changes. It is their responsibility to keep it as updated as possible for future workers. When you follow this set of onboarding directions, you will be able to confidently leave them to run the process on their own. It’s always smart to check in 1-4 times per month to make sure all is fine and dandy! You’ve now properly onboarded the workers in their specific tasks and your business is running efficiently. That’s worth a pat on the back. In all honesty, you’ve done amazingly if you’ve managed to make it this far without committing one of our key outsourcing mistakes. The next most common mistake is reserved for those advanced business owners outsourcing who have created an efficient group of online workers. One aspect of having local workers that always comes up is time off, sick days, and vacations. Depending on your company’s policies, the workers may have 2 to 3 weeks of vacation time each year. Vacations are great! They give workers time away from work to enjoy their life and allow them a necessary reboot 3 to 4 times each year. What could be wrong with vacations? Who else can do that task? This is where business owners can fall into the trap and commit the most common mistake #7…not having other online workers set up to take over. Don’t worry…we have a solution for you! Here is how you can overcome this challenge that many business owners unfortunately run into while managing online workers. Step 1: Identify all of the tasks that are handled by online workers in your company. Step 2: Next to each task, write down the names of people that know how to perform that task other than you. Step 3: For tasks that only have 1 person, find someone from your company that has the skills to perform that task. Write that person’s name down next to the task. Step 4: Create a schedule that has everyone’s vacation plans projected at least 1 month out. Ideally, your vacation schedule will pan out for an entire quarter. Step 5: Bring the two workers together – the one that knows the task and the one you wrote down in step 3. For each task that you identified as only having one person with the skills to perform the role, set a goal for onboarding to be completed. Step 6: Tell the worker that already knows the process to update the onboarding guide that you first used when onboarding them on the task. Let them know that they will need to give this to the other worker as a reference after the onboarding is complete. Step 7: Follow up to make sure that the onboarding happened. By properly communicating with workers, you can avoid the hassles of having to pick up work for one of the online workers when they go on vacation. Now you have an even more efficient group of online workers that can run without your interference. You get to stay focus on building the business while the operations are handled by workers. As I’ve said throughout this book, most online workers are always seeking new opportunities and may end up working for hundreds of clients over the period of one year. Online workers are extremely accustomed to short term contracts, but most come from a professional background where they were working for a company for a long period of time. 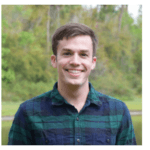 They decided to move into online freelancing for the convenience of their family or because they saw a better opportunity to pursue their career goals. Online workers are best utilized when fully integrated and given the opportunity to really feel the culture of your business. One of the biggest misconceptions that many business owners have of outsourced work is that they aren’t really a part of the core. Rather, they are a foreign support group that performs specific tasks within the company. If you are of this mindset, you are committing our most common mistake #8…not fully integrating online workers into your business. When we were hiring more and more, one of our biggest focuses after onboarding was making sure that the worker understood the culture that we had created for the company in our home office. We introduced them to our history, our core group, our accolades, and showed them our office. As the workers got to know the company better, they became more committed to working hard and sticking around to achieve the long term goals. If you want to milk the most out of online workers, you must focus on fully integrating them into your business operations from the get go. The more effort you put in, the more loyalty they will feel to helping you grow your company. You now have a dedicated group of online workers that are running as much of your operations as possible. You feel comfortable and confident in the workers and you are even beginning to develop relationships with the best workers. You regularly chat with them on Skype and you keep them up to date with everything that is happening in the business. They genuinely seem excited to be working for your company. This is usually the stage of outsourcing where business owners can run into mistake #9…not listening to worker’s ideas and not asking feedback on how they can improve. If it’s been a few months since the online workers have joined you then they have been performing their specialized tasks for quite some time. They also probably know a decent amount about the inner workings of your business and how it makes money. The truth that many entrepreneurs overlook is that online workers can bring great ideas to the table, but you have to be willing to ask and openly listen. Here are a few of the best practices that we have picked up from managing hundreds of online workers. Because of cultural differences, you really need to pry the information out of certain online workers. Every month, schedule a 1 on 1 with the top online workers. Make the purpose of the meeting to learn about how they think the company or co-workers can immediately improve. Give them the task of meeting with the other online workers to receive the same feedback that can then be relayed back to you. This will keep your time free, but also get you good ideas from everyone. Release anonymous surveys each month where online workers can share their ideas and criticisms. Read the results and create proper action steps. Workers’ comfort is shaped by the culture that you create internally. If you are always posing questions and rewarding people for their ideas, online workers will be more open to share ideas that could improve your business. The beauty of outsourcing correctly is that you are adding intelligent individuals that want to help you grow. By failing to tap into that knowledge, you are making a major mistake. Take our advice and be as open as possible to ideas and feedback from online workers. We’ve reached the tenth and final mistake that is most commonly committed by entrepreneurs as they start outsourcing. If you can manage to avoid all 10 of these mistakes, you’ll be in great shape to run your business with the help of an amazing group of online workers. The final mistake stems from aspect #3. Online workers understand that their biggest asset is performing specific tasks, but that does not mean that all of them are content with performing that task with no growth for years on end. One of the biggest mistakes that business owners make once they have formed their online group is not providing growth opportunities for their best and most trusted online workers. If they are the best workers and it is clear that they can help your company in other areas of your operations, you must capitalize on that opportunity and let online workers grow with you. It’s very much a waterfall effect. Here is how we recommend managing these types of situations. You have hired two workers who are focused on one of your areas. One worker, John, excels at the task while the other, Rob, simply does work as instructed. You are planning to increase work in that area and you are planning to hire a third worker. Use the opportunity to let both John and Rob grow within their positions. Take John and place him in charge of managing the tasks that need to be completed each week. Put John in charge of managing Rob and the third worker that you are planning on hiring. 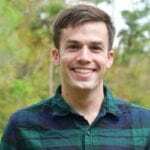 For Rob, give him the additional responsibility of onboarding the new online worker that you are hiring. By offering these growth opportunities, you create less work for you. You also give online workers the ability to make a greater impact on your business operations. If the additional responsibility doesn’t work out, it’s very simple to move them back to how they were structured before. You can also incentivize online workers by providing them with milestones that they must reach before they are considered for a raise or promotion. By simply offering this notion, it indicates that they have the ability to grow within the company. When online workers have goals to strive towards, they work harder for your business and your work becomes easier. If you’ve made it this far, it is our hope that you have learned a tremendous amount about the power of outsourcing. When we first started outsourcing, we weren’t sure what would come of it, but we had a strong feeling that it would all work out. While it took us a couple of years to fully identify the best practices for outsourcing within our business, the long term impact greatly outweighed the initial setbacks. As the founders and owners of FreeeUp, it is our goal to provide others with positive outsourcing experiences. We wish you the best of luck as you begin your outsourcing journey! Would You Like to Outsource with FreeeUp? If you’re interested in starting your outsourcing journey, we would love to connect with you. FreeeUp is a hands-on marketplace that meets with each of its interested clients and takes the time to learn about what is best for your business operations. It’s extremely easy to get started. Navigate to FreeeUp.com to sign up or send an email to Nathan@FreeeUp.com. 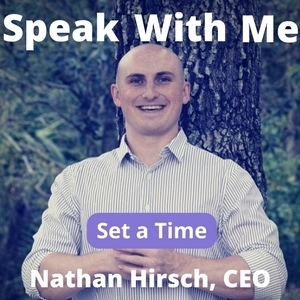 Our founder and CEO, Nathan Hirsch, will be in touch with you within 24 hours. He will ask you key questions to learn about your business and understand how FreeeUp can best help you. Once we are confident in the next steps forward, we will search through the marketplace and select the best possible worker for your needs. We will personally introduce you to the worker and give you the ability to begin onboarding. If you are happy with their skills, you will have the ability to hire the individual and get started. Nice. Start with what you want and grow together into an awesome group. Very helpful! It is the little changes which will make the greatest changes. So true Dani! A few tweaks here and there and you’ll see the difference.